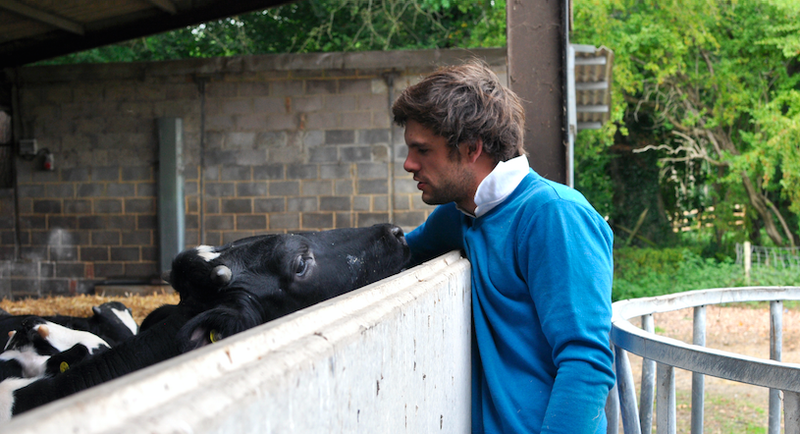 All of our British Rose veal is credited by the RSPCA through its Freedom Foods organisation. Our calves are a mixture of dairy breeds (Holstein & Friesian) and dairy crosses. They are sourced from the UK dairy industry, usually considered as waste products, the calves are effectively ‘rescued’, offering a humane and high quality alternative. Our calves are carefully reared in warm, light, large well ventilated barns, with lots of straw bedding. They are fed on a milk diet for their first 10 weeks and are then transferred onto special iron and fibre rich cakes and straw to keep them healthy. The calves are killed around 8 months old – around the same age as most pigs and Spring lambs. We work ethically to raise veal that is pink, delicate, tender and flavourful. Eating Veal is a great option for a healthy diet. It’s low fat, versatile and has great flavour. If you would like to learn more about the welfare of British Rose Veal visit the RSPCA Assured website.